Folding attic stairs or loft ladders provide temporary access to an attic or loft space which is being used for storage. They are permanently fixed to the attic hatch so they are available when needed, once installed there is no need to bring any type of standard ladder to the attic hatch to gain access to the attic. The ladders folds or slides into the attic and are concealed behind the hatch until needed again. The majority of domestic stairs are made from timber with some heavy duty models being made from metal typically aluminium or steel. Timber ladders are the most common as timber is easier to work with, metal ladders can be difficulat to customise to the particular ceiling height (it’s not as easy to cut the ladder to the correct length). Metal ladders tend to be much heavier and make more noise than a timber ladder during use. Metal stairs often have better fire rating than timber that needs to under go treatment to get a fire rating. This would be the most common type of loft ladder, the ladder is cut in 3 parts, the ladder folds up onto the trapdoor which can then be closed concealing the ladder. These ladders can be made in either steel or wood. They will have metal hinges at each fold. The ladder is usually contained within the frame of the hatch meaning you need no additional floor space. 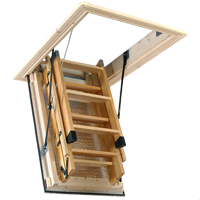 As the ladder folds onto itself and is contained within the hatch the loft ladder can leave the factory completely assembled and only needs to be fixed into position. The main restriction with this type of loft ladder is the frame length as it needs to be roughly a third of the ceiling height. On higher ceilings this can mean the frame length has to be rather long. The way these loft ladders operate can vary. The most common mechanism is spring assisted. This mechanism aids in closing the stairs but an additional lock is required to lock the stairs in a closed position. The disadvantage of this system is if the lock breaks the stairs will not stay shut. The next system is spring counter balanced. This system uses the springs to close the stairs and hold it closed. No locks are needed. The disadvantage of this system is that the springs need to be very strong to hold the stairs in position making it difficult to open the stairs. However there are less mechanical parts to break down making the system more reliable. Sliding ladders are ladders that do not fold but rather slide up into the attic and stored on the floor of the attic. The main benefit of sliding ladders is the can be fitted in small square attic hatches. This overcomes the problems with 3 part folding ladders that require a minimum frame length that is much longer. The drawback of using a sliding ladder is that it uses up a lot of floor space in the attic that can’t be used for storage. These ladders are often made from aluminium and are a similar design to extendable tradesman ladders. These ladders are made from metal and can be retracted into a very small space, the ladder folds vertically so all the steps come together. The benefit of these ladders is that like the sliding ladder they can fit into very small square hatches but they have the further benefit of not requiring any space inside the attic so no floor space is lost storing the ladder. The downside to these ladders is that there are a lot of moving parts which become potential finger traps and the more moving parts ther are the more oportunity for failure. There is also a lot of flex in this design which means they would not satisfy the European standard on loft ladders. As there is a lot of metal rubbing against metal they can also get quite loud. Remote control loft ladders offer ease of use and convenience but they also overcome the shortcomings of manually operated loft ladders. When it comes to high ceilings over 10 feet (3M) it can be difficult if not impossible to operate the stairs. With an 12ft ceiling it is very hard for a person to reach up to open the stairs and even if they do manage to get it open it can be equally difficult to unfold the ladder from the trapdoor. The weight of these larger stairs compound the problem making them even more difficult to operate. Remote control loft ladders overcome these problems and allow manufacturers to make the frame lengths longer so it’s easier to unfold the ladder from the trapdoor as it’s closer to the ground. A semi-automatic loft ladder part opens the stairs but requires some manual operation to complete the opening or closing sequence IE: unfolding the ladder from the trapdoor. These are typically an upgrade to the standard loft ladders. A fully automatic loft ladder completely opens the loft ladder by remote control so no manual operation is required. Loft ladder Standards. There is a European standard relating to the production of loft ladders, the standard is EN 14975 or BS EN 14975 the British version of the standard. The standard sets out a set of rules to ensure the loft ladder meets a minimum safety standard. Topics covered in the standard would be, the distance of the first and last step from the floors and the angle of the ladder, amongst other things. The standard also requires that the stairs be tested using calibrated equipment to ensure it can safely deal with common stresses and be rated up to 150kg. There does not seem to be a US safety standard for folding atttic stairs. 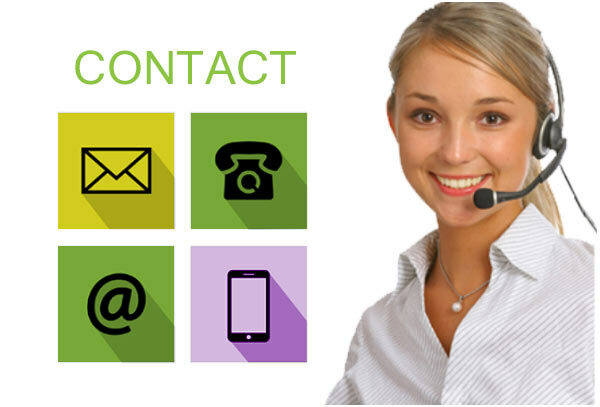 Any company can say they satisfy the standard but unless they have external third party acreditation there is no way to know how rigidly they stick to the standard or if they carry out the necessary testing on a regular basis. In the UK the British Standard Institute apply their Kitemark cert to products that meet safety requirements as set out by European standards. Companies that have this mark will label their products with the Kitemark logo along with the companies registration number so the cert can be traced back independantly by the customer. Companies will display these logos if they have them as the proccess of obtaining and maintaining these certs is expensive. Folding Attic Stairs/Loft ladders should not be used as permanent access to a living space as it contravenes many building and fire regulations and is inherently unsafe. Closing the loft ladder would trap any person in the attic room which could end in tragedy should a fire break out in the home. As well as the risks from being trapped most loft ladders are not designed to be used on a daily basis so overuse can shorten their lifespan making permanent stairways a better choice. The most common failures with loft ladders are the metal hinges and linkage arms connecting the ladder to the outer frame as they are often bearing the load of the person using the stairs as well as a portion of the weight of the loft ladder, the most important hinge is often the hinge between the bottom and middle section of the ladder. It is worth taking note of the manufacturers warranty and the material these parts are made out of, it is also worth checking with the manufacturer as to whether they will sell replacements parts as many companies won’t. Always check with the manufacturer on these matters, resellers have been observed applying their own guarantees and while the reseller may stand by these guarantees if the reseller stops supplying the loft ladder they may be unwilling or unable to help.